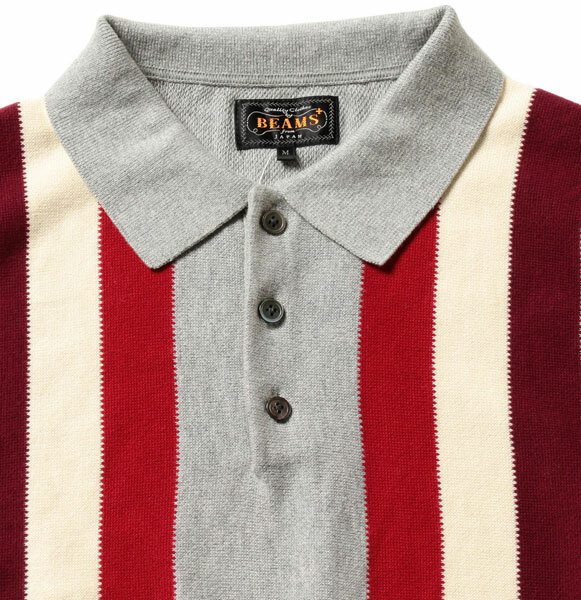 Not quite on UK shelves yet, but the Beams Plus 1960s-style knitted polo shirt is coming your way. The thing is, I’m a bit of a nerd when it comes to Japanese labels, so I’ve been browsing the Beams Plus Japan site ahead of the stock landing in the UK. The new range for spring and summer goes by the name of All You Need Is Ivy, with inspiration very much from the early part of the 1960s. 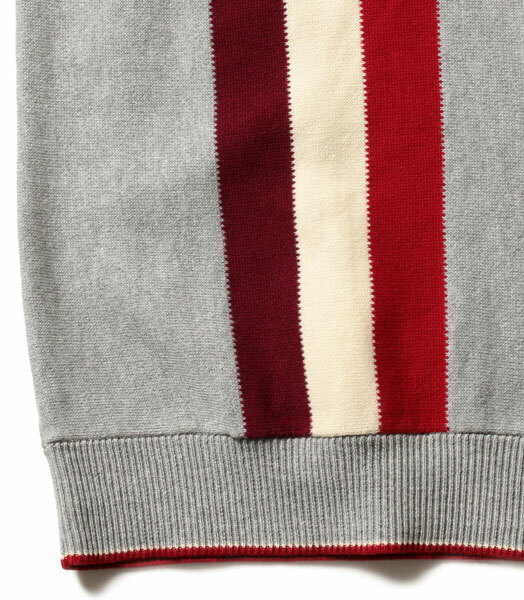 Some pieces are ivy league classics, others probably lean more to the mod end of the spectrum. Like this one. 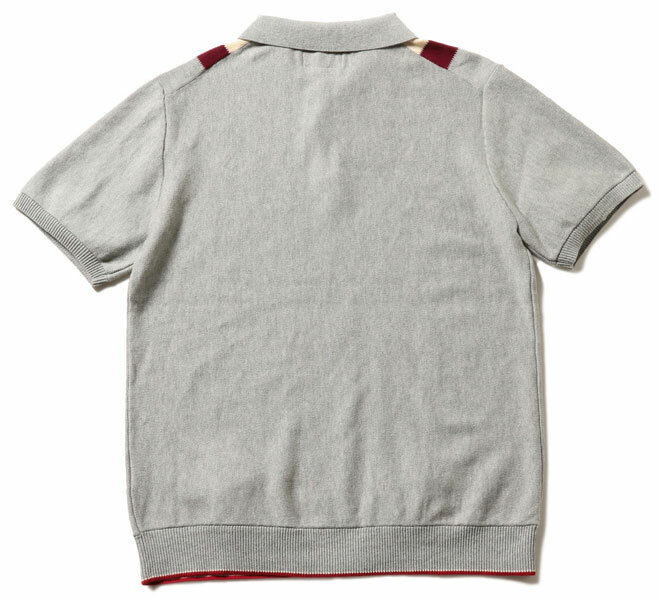 This is a knitted polo shirt, which isn’t an obvious one for Beams Plus. But you can take it as read that the quality of this one is top end. That’s the same for all the range. 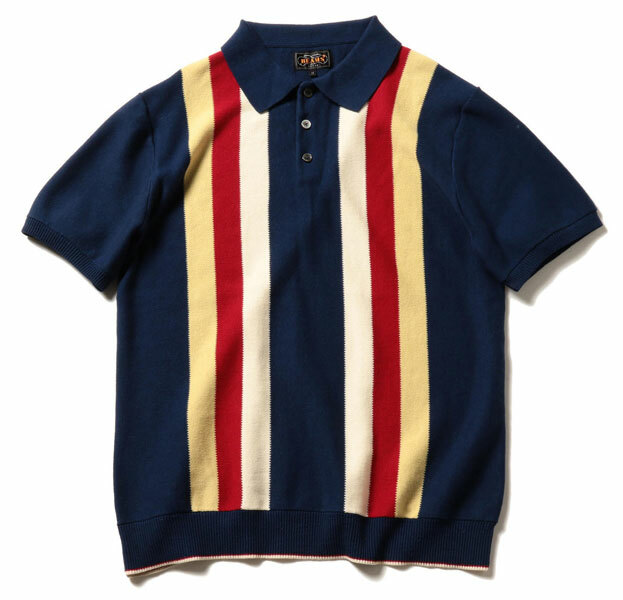 From what I can gather (I am not fluent in Japanese), the top is based on a vintage design and is available in two colour options, both with the same design of a three-button collar, striped front and ribbed cuffs and hem. 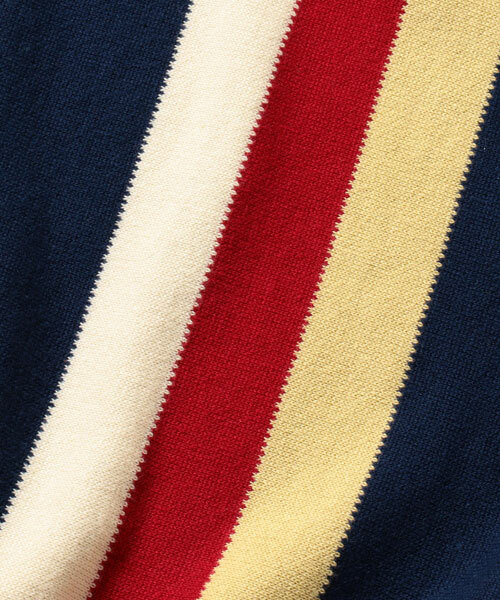 It seems to be made of a soft cotton for the summer, which is when the top will arrive. It is slated for May in Japan, so expect it in time for the summer in the UK as well. 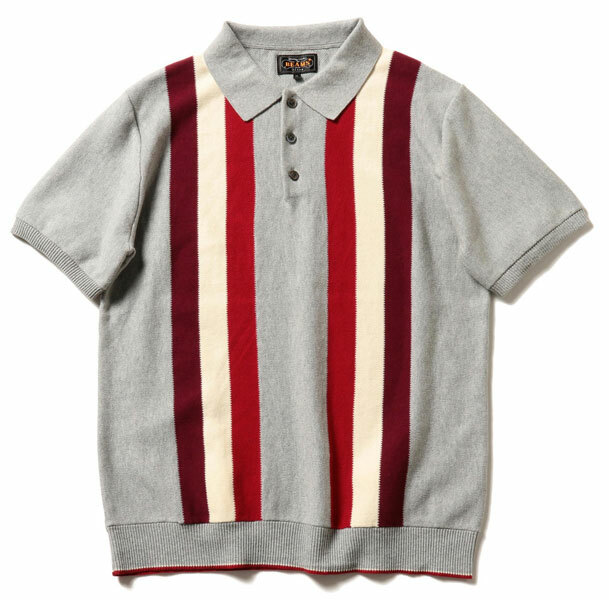 As for price, probably just up from the £100 mark for this 1960s-style knitted polo shirt, but I can’t be sure of that until it hits the shelves over here. If you can read Japanese better than me, check out the official Beams Plus site. Alternatively, wait for End Clothing or Mr Porter to stock them.